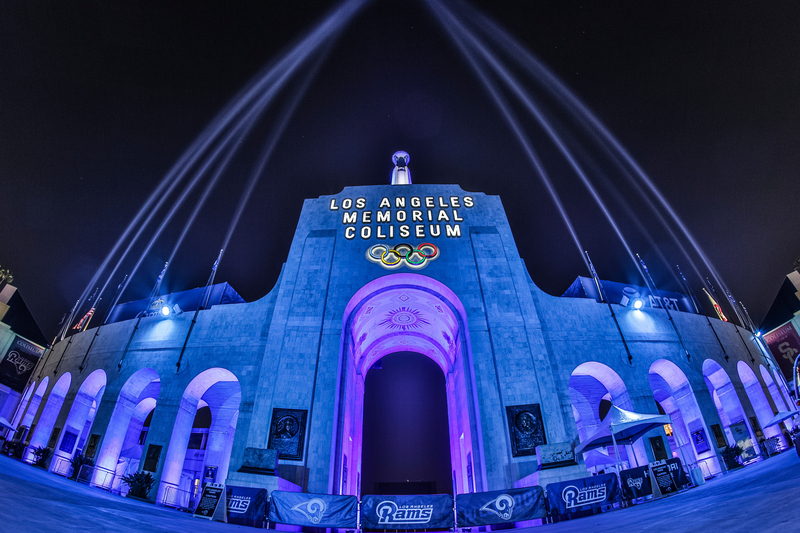 The Los Angeles Rams-Kansas City Chiefs game will be played at the LA Memorial Coliseum on Monday, November 19 at 5 PM PT, the National Football League announced today. The game will be broadcast on ESPN and locally on ABC, as well as on radio in English on ESPN LA 710AM and in Spanish on ESPN Deportes/KWKW 1330 AM. Starting today, Rams Season Ticket Members can go onto Rams Account Manager to purchase their current seats until Thursday at 5 PM PT. Starting Wednesday at 10 AM PT, Season Ticket Members will have a three-hour presale before the general public to purchase up to four additional seats. For the general public, tickets will be available starting Wednesday, November 14 at 1:00 PM PT at therams.com. In addition, the Rams will be providing complimentary tickets to first responders who are bravely protecting the greater Los Angeles community, as well as people who have been impacted by our community’s recent tragedies. Due to the quick turnaround, tickets for this game will be mobile only. Fans may access their mobile gameday tickets right from the Los Angeles Rams or Ticketmaster mobile app and enter the stadium. Fans should download the latest version of the Rams App. Fans should save their tickets to Apple Wallet or Android Passbook before arrival at the stadium. The Rams Mobile App allows fans to manage, send or sell their tickets. Here are step-by-step guides to this process. Information on parking and other game details will be announced later this week. The NFL announced earlier today that it will move the Monday, November 19, Kansas City Chiefs-Los Angeles Rams game originally scheduled for Estadio Azteca in Mexico City to the Los Angeles Memorial Coliseum in Los Angeles. The decision is based on the determination – in consultation with the NFLPA and following a meeting and field inspection this afternoon by NFL and club field experts as well as local and independent outside experts – that the playing field at Estadio Azteca does not meet NFL standards for playability and consistency and will not meet those standards by next Monday. The NFL will be announcing details on ticket reimbursement procedures in the days ahead.